How Galway win this contest? Expose Limerick final nerves early doors; look to pepper quick ball into the inside full forward line and test the Limerick full back line. Glynn on the edge of the square looks a massive threat. Take Cian Lynch out of the game; sounds sinister but Galway will look to man mark the midfield talent out of the game, expect Coen to be on marking duties. If Coen can produce the same man marking performance as he did against Tony Kelly in the All Ireland Semi-Final replay, Galway are going to win this contest. Clinical scoring rate; recent games has seen Galway’s attacking options waste some gilt edged opportunities, this has to improve this weekend in the final to keep Limerick at arm’s length. Half Back Line dominance. 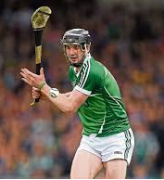 Question marks on McInerney’s fitness at the time of this post and if included, Limerick will look to see how fit the Oranmore Maree club man is. All Ireland winning teams usually are associated with superb half back line units; Galway’s unit has being stellar this season again and more of the same form is required on Sunday. How Limerick win this contest? Negotiate the early exchanges: Galway with All Ireland final experience will look to ambush Limerick early with some early scores. Limerick and in particular the half-back line need to stand up strong in these exchanges; establish some early aerial battle wins and look to protect the likes of Mike Casey in the opening exchanges. Goals win games: Limerick have created several keynote goal scoring chances in recent fixtures but lack of composure in front of goal has being a trend for the likes of Gillane and Flanagan. These players if given goal opportunities need to convert this weekend. Get Cian Lynch into the game: If Limerick are to win this contest, then Cian Lynch will need to be a standout performer. Lynch will be given special attention from Galway but Lynch needs to be savvy to this; good first touch and quick distribution to colleagues. Limerick’s puck out strategy should look to create space for Lynch to establish a platform to impress. The Bench: If Limerick can keep their composure and handle the occasion, the bench will play a pivotal role in the final quarter. The introduction of Casey, Dowling, Nash, O’Donoghue, Ryan, Hickey are key squad assets and their cameos should bring the side over the line if the game is in the melting pot. Galway have struggled to identify anyone off the bench apart from Niall Burke, Jason Flynn, Sean Loftus and Davy Glennon which limits their hand. Slight edge for Galway on this fixture. The opening exchanges are going to be absolutely key. I question how Limerick will handle the occasion? Galway will look to bully and impose their game plan early doors and Limerick’s reaction to this will be crucial. The central attacking axis for Galway worries me from a Limerick perspective. Canning and Glynn could collectively cause serious issues if given time and space. For Limerick to win, it is going to be a come from behind effort coming into the final quarter. If the deficit is not too big (five / six points), the squad depth options will prove crucial. Limerick’s full forward line can test this Galway full back line if given accurate ball in. Dowling down the stretch could be the key figure as Galway start to wane. However until you beat the champions, you are not favorites in my eyes and for this I edge the final to Galway right now. They are the reigning champions, they deserve the respect and favorites tag given their last two seasons of work. Limerick need to play without fear and play with pace and mobility. The final should be embraced by players and management. The fans lucky enough to get tickets will need to support the side and not be too hard on them when Galway have periods of dominance. 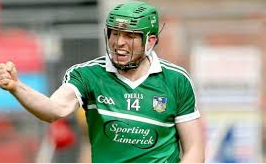 No regrets from Limerick should be the mantra; if the Limerick players and management can come off the pitch with this key point accomplished, Liam McCarthy will be heading to Shannonside. After all the drama of last weekend, local neighbors Clare and Galway must regroup and do it all over again on the hallowed turf of Semple Stadium to see who will take on Limerick in the All Ireland Senior Hurling Final. If the replay is half as good as last weekend, we are in for an absolute treat. Hawkeye Sidekick looks at the key battles ahead of this weekend’s replay. The tactical switch to deploy Colm Galvin as a sweeper in the Clare back line to negate the threat from the Galway inside full forward as well as provide excellent distribution to the likes of Tony Kelly and Peter Duggan setup the platform for Clare’s fightback last weekend. Clare are no strangers of the sweeper system but have rarely used the tactic in this season’s championship. Galway surely will have regrouped on this tactic and expect the Tribesmen to adopt a more aggressive running game from deep. The decision to switch Galvin back in the Clare defense denied the midfielder from providing a long range scoring threat. Clare management have to push up Galvin at different times to hit a couple of points to keep the scoreboard ticking or do they depend on Tony Kelly to be the focal point for these type of attacks? Intriguing tactical decisions await again. All indications within Galway suggest that Gearoid McInerney is a massive doubt for the replay; suspected calf tear would rule the Oranmore Maree clubman out of both the All Ireland Semi-Final replay and the All Ireland Final showpiece on August 19th. No confirmation at the time of this blog posting. The absence would be a big blow but Galway management have prided themselves in the strength of their panel this season and the absence at center back allows the opportunity for someone on the bench to make an impress. Padraic Mannion looks most likely to fill the half-back void with the likes of Loftus or Killeen slotting into the wing back spot. Loftus looks the most viable option; quality underage player whose pace should negate the pace posed by Clare in the half forward unit. If the injury news is contained to the potential absence of McInerney from half-back, Galway will have a dodged a bullet. Given the concern expressed for the fitness of Joe Canning (which has eased), the side looks pretty much be unchanged from the side that took to the field last weekend. Squad depth for Galway is vital this weekend. Michael O’Donoghue and management secretly must have being frustrated on the opening period attacking performance last weekend. Galway in the middle third had dominated the first quarter and presented chance after chance for their forward line to establish a potential match winning lead. The attacking line unit were inconsistent and twelve wides in that opening period opened the door for Clare to launch a comeback. Several of those opening period wides were most uncharacteristic; a couple of efforts straight in front which on another day would have gone over. The missed goal chance from Cathal Mannion perhaps encapsulates the misfiring issues within the forward line; setup superbly but Mannion’s first touch was poor and the goal scoring opportunity was lost (even though a point was scored). Galway given the expected defensive reshuffle need to be on point this weekend. The dependency of Joe Canning needs to be distributed across the attacking unit. Conor Whelan, Cathal Mannion, Conor Cooney showed good moments last weekend but it needs to be more frequent in this replay as Joe Canning will not be 100%. Will Joe Canning even last the full game? Free taking will be vital and with Peter Duggan looking sharp last weekend for Clare in the placed balls, Jason Flynn will need to deliver again on the placed balls if called upon. The fitness concerns for Galway makes it a nervy fixture for the Galway supporters ahead of this replay. Both full back sides struggled at different intervals last weekend. Clare were all over the place in the first quarter; so much so that the sweeper was required. The Galway goal was a nightmare defensively with the full back line guilty of dwelling too long with the sliothar. Conor Cooney’s finish was emphatic. The Glynn threat was always a threat and I don’t see who from Clare can negate the Ardrahan clubman’s threat. Galway’s full back line struggled in the second half. Once Clare created space for the likes of Conlon and O’Donnell, Galway’s full back line suddenly were on the back foot. Conlon had a superb second half. His four point haul showcased his accuracy as he pulled Daithi Burke out of position throughout. Shanagher’s goal was well taken but full back line unit were slow to sense the danger from the original first into the Galway square. Two full back lines who could potentially be stretched again as the game will open up significantly well before the final whistle. The result will be decided on which full back line has improved more in the past week; made the necessary adjustments to negate their opposition line’s threat. If not and Limerick have more reason to be optimistic in the final. Cathal Malone struggled for tempo and performance last weekend. Will Clare management resist the temptation to make switch? David Fitzgerald personally is a wing back but his cameo off the bench from midfield scoring and setting up scores with superb runs from deep must have being taken into the Clare management’s plan this week. However, Malone has being the ever present midfield partner for Galvin this year. Interesting call for Moloney and O’Connor ahead of this replay. The inclusion of Ian Galvin as well is a secondary point but this midfield question will be a pregame poser. Both sides struggled on their puck out strategy last weekend. Clare in the opening quarter were a mess on the puck out. Tuohy not being helped by static Clare movement out the field. The results were disastrous as the Crusheen keeper had to go long with little reward. Cue the very fast restarts and things started to change as Clare started to go through the lines with their passing game; much better. Galway after a positive opening period were reduced to long ball over the top; Glynn was the target man each and every time but it was very one dimensional; no significant running lines from deep as Skehill persisted to go long. Both keepers need to up their game on the restarts and it will be interesting to see if Clare or Galway push up on the puck outs early to unnerve either keeper. Until the champions are beaten, I cannot go against Galway. Clare had Galway where they wanted them in that extra time and when you consider the personnel who departed the Galway side and still Clare were dependent on a superb Jason McCarthy equalizer, wondering how Clare win this? The closing scene of Canning, Burke, Tuohy, Whelan on the bench looking on anxiously at the last moments last week was a huge boost for Clare but they did not drive it home. Galway’s attacking play cannot be as one dimensional this weekend. Clare’s sweeper system tactic is out again and I expect Galway to nullify this threat if it is presented this weekend. The injury concerns for Galway look more positive as the week has progressed. If Daithi Burke and Padraic Mannion can provide a solid back line central performance, Galway have the advantage to win this one. Clare’s full back line struggled all ends up with the threat of Glynn and if Conor Whelan can become more prominent in open play supporting Glynn on the aerial battle, it means even more trouble for Clare. Galway edge this replay; their experience in Thurles for the Leinster SHC replay will prove invaluable in a three / four point win despite the efforts of Duggan, Kelly and Conlon. The second part of a blog series focuses on reigning All Ireland Senior Hurling Champions Galway, a side who had to come through an epic Leinster SHC tussle with Kilkenny to secure their place in the last four of the competition. Hawkeye Sidekick looks at how the side have performed, identifies the key protagonists and potential areas where Clare could expose and cause the upset. The inaugural Leinster SHC round robin format posed little issues for the reigning champions. An emphatic opening weekend victory over Offaly in Tullamore the perfect setup for the first Leinster SHC fixture to be played at Pearse Stadium against perennial rival Kilkenny. A fantastic occasion which saw Galway inspired by the mercurial Joe Canning to produce a dominant third quarter to win this contest by eight points. The road trip to Innovate Park looked like a tricky assignment but Galway dispatched the challenge of Wexford with relative ease; putting the game in the opening period and keeping the hosts at arms length for the second half expending minimum effort. The last round robin fixture against Dublin was an opportunity for fringe players to gain valuable minutes in a competitive setting; an one point win against a determined Dublin side was mission accomplished. The Leinster SHC final against Kilkenny was incredible viewing; physicality to the fore with scoring opportunities at a premium. Galway were pegged back late at Croke Park by a TJ Reid inspired Kilkenny outfit. 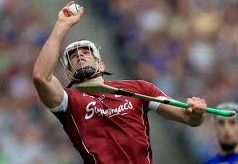 The replay in Thurles was an exceptional fixture as Galway management’s decision to deploy Glynn in full forward paid early success; a vital factor in victory as Galway had to withhold a massive Kilkenny fightback in the third quarter. Galway’s finishing kick to close out the game was emphatic with Joe Canning immense. Battle hardened games with Kilkenny a perfect foil for this All Ireland series. Galway have grown in stature this season. The mantle of reigning championship has being embraced with the usual suspects taking their game to new levels and emerging talent providing timely cameos to management which has seen increased competition for places. Where do you start? Joe Canning. The forward is mercurial; the skill set and what he can do with a silothar is on a different level. His performances this season have steadily improved; his ability to score from either sideline cuts or free kicks is a real asset for the side. His work rate ethos sets the tone and others follow. His scoring return has being excellent this year and Clare’s half back line have a decision to make with the Portumna native. Do they stick to the player but then open space in behind for other attacking threats to roam or do they stick to their positions and see Canning score six to seven points from open play? Cathal Mannion personally is such a massive talent. The forward has the ability to turn a game with his trademark quality long range scores from either side. His performance against Kilkenny in the Leinster SHC replay was a pure illustration of the talent that the player possesses. His ability to score from long range saw a primary platform for Galway to win this contest in the second half. Mannion’s game management and distribution for the likes of Conor Whelan inside has posed serious questions for opposition defenses. David Burke is an exemplary captain for Galway. The St.Thomas club man is so selfless in the hard work he puts in game after game. All the fundamentals are present; solid under the dropping ball with excellent pace and power. His distribution from deep to his inside forward line at times is a joy to watch and his ability to link up with back line and forward line has being to the fore. Burke’s tends to revel in the Croke Park surroundings and his performances to date this season would indicate another fine afternoon is in store. The side collectively are so structured and on point. The defensive power of Daithi Burke and Gearoid McInerney provides the solidity and platform for the Galway back line to prosper. Padraic Mannion has being a standout in his man marking duties this season and his ability to score from distance (0-3) against Dublin will be a key asset if Clare decide to deploy a sweeper inside during periods of the contest. David Burke and Johnny Coen provide defensive nous but significantly attacking threat with their runs from deep to keep the scoreboard ticking over. When you throw in the attacking options of Cooney (Conor and Joseph), Niall Burke, Jason Flynn, Conor Whelan, Jonathan Glynn, there is plenty to ponder from a Clare back line perspective along with the likes of Joe Canning and Cathal Mannion. It is grasping at straws but the goal scoring rate at times could improve. If you take the five goals scored against beleaguered Offaly in the opening round of the championship, Galway have only managed three goals thereafter and when you consider the inside threat of the likes of Conor Whelan and now Jonathan Glynn inside, it is a statistic which no doubt Galway management will be eager to address. Galway keeper situation has being of debate this season. Callanan’s injury layoff has seen James Skehill return to the goals; solid performer but there have being times where the keeper has struggled to command his square. Nine goals conceded in the championship this season is a concern defensively but whether Clare can create the running lines to expose Skehill is an entirely different story given the back line units in front of the net minder. September 3rd. The day of reckoning for both Galway and Waterford. An unique final pairing and one that promises to be explosive and dramatic. Two sides who have suffered final anguish in the recent past, a day to a certain extent to right some wrongs of past failings and to engrave management and squad player names into county folklore. In the first of a two part preview, Hawkeye Sidekick reviews the Galway challenge looking at how they advanced to the final and who needs to stand up and be counted this Sunday. The message of intent some would say was issued loud and clear in April at the surroundings of the Gaelic Grounds where Galway won the NHL with a performance which had many in hurling circles sit up and notice. The emphatic manner in which they disposed of the Tipperary challenge that day has continued in this season’s championship campaign. Once upon a time, a Leinster SHC fixture against Dublin in Tullamore would have being seen as a banana skin, a fixture where Galway would need to be on top of their game to advance. This time around, they negotiated the Dublin challenge with the minimum of fuss as they went through the gears either side of half-time to win with plenty to spare. All lines were dominant with Daithi and David Burke catching the eye with defensive and midfield play. Joe Canning was also prominent, eager to get involved; his work rate set the tone for others to follow. A fourteen point win was another signal of intent that the NHL final win was no fluke. The Leinster semi-final fixture against Offaly could be best described as an one sided affair, others would be more critical of the Offaly performance on show. Galway continuing their form with a cohesive performance and seeing the emergence of Conor Whelan as a viable scoring threat inside in the full forward line as well out the field. Thirty-three points was scored by Galway on the day and their nineteen point winning margin was an accurate assessment on a dominant display. The much anticipated Leinster SHC final was seen by many as a true acid test of Galway’s title credentials. After an evenly matched first twenty-five minutes, Galway’s experience and game management came to the fore drawing clear of the sweeper orientated Wexford setup with an effective performance. The usual suspects again to the fore for Galway and the nine point win showcased the talents of all the Galway forwards with several eye-catching scores from play. Galway confirmed that they were the real deal and more significantly answered the critics who thought that the sweeper system would pose issues. Mission accomplished. The All Ireland Semi-Final against Tipperary was a sublime contest. Neither side gave an inch on the day. Galway on reflection were the better side throughout, their key defensive players producing excellent performances. It was the day that Gearoid McInerney announced himself at center-back. A towering performance from the Oranmore-Maree club man. His battle with Bonnar Maher was superb viewing and his second half cameo where he dominated aerial possession was on point. Joe Canning after a shaky opening twenty minutes produced when it mattered. The talisman was lights out in the final quarter of this contest and his game winning point is a sporting moment of the Irish sporting year. A sublime effort, under immense pressure to seal his side’s final appearance. Battle hardened and confident, Galway enter this final with renewed vigor. All Ireland finals are sometimes decided by players who are not highlighted in the preview notes. Joe Canning is Galway’s attacking talisman but Michael O’Donoghue and Galway management will be the first to know that they were overly reliant on the Portumna native in the closing quarter exchanges. Canning provided all the scores in that period of play; a repeat against Waterford and Galway could be struggling. Galway’s forward line is stacked with talent. Cathal Mannion is a player who has had a quiet summer by his own standards. Injury plagued season but is hitting form at the right time. Mannion is a superb shooter from distance and Galway will need the player to hit a couple of scores from play as Waterford setup with the sweeper system. Mannion is one of several threats. Jason Flynn if involved could play a huge role in the outcome of this contest. The Tommy Larkin’s clubman was instrumental in the NHL win; a confidence player, he scored early and never looked back. Flynn will hope to feature and provide the goal scoring threat required to give breathing space for Galway. Niall Burke and Conor Cooney are incredibly talented hurlers. Cooney’s ability to keep the scoreboard ticking over will be crucial; his quick shooting action will pose Waterford with endless problems. Conor Whelan has had yet again an excellent season. The Kinvara club man is a superb target man in the full forward line; his physique belies his young age and he has added scoring prowess to his work rate and skill set from last year. Whelan showed in the recent All Ireland U21 semi-final that given any goal opportunity, he will score. 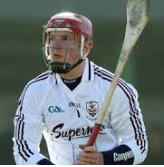 It is crucial that Galway’s attacking units provide a balanced scoring threat to complement the influence of Joe Canning who will be double marked by Waterford for long periods. Johnny Coen has had an interesting season. The Loughrea clubman has being assigned the role of midfield lynchpin; complementing the mercurial David Burke and supporting his colleagues in defense and attack. Coen’s cameo for the Joe Canning game winning point in the All Ireland Hurling Semi-Final a perfect example of his selfless work ethic for the team. Coen will be faced with a different assignment this week. His role presumably will be to keep tabs on the sensational Waterford midfielder Jamie Barron who has being a pivotal figure for Waterford against Kilkenny and Cork in the All Ireland series. Barron’s work rate and ability to make lung bursting runs from deep to support his forward line has being a hallmark of Waterford this season. His extra time cameo against Kilkenny was nothing short of sensational. His runs from deep created a quick 1-1 which reset the platform for Waterford to smash the hoodoo of not beating their near neighbors. Barron against Cork was on point as well particularly in the closing quarter where Cork exposed due to the red card of Damien Cahalane conceded space inside defensively and Barron was the player to benefit; running from deep, evading Cork midfield to score a superb goal. If Jamie Barron has an excellent performance on Sunday, chances are that Waterford will be bringing out Liam McCarthy down to the Quays on Monday night. The role of Coen as you can see is so important for Galway. It cannot be understated; his performance is going to be for the sake of the team. He will need to do the dirty work unnoticed in the middle third. He will need to track Barron at every opportunity; his conditioning will be tested by Barron. Coen will need David Burke to assist from time to time but Burke’s distribution and need to advance further up the pitch necessitates the need for the Loughrea clubman to perform these duties. A vital role. If Coen can nullify Barron, Galway have seen off one of Waterford’s outside player threats. Put quite simply, David Burke will need to produce a performance of composure, game management and poise. At times, Burke struggled to get into the All Ireland Semi-Final contest; was nervy at times. Burke’s distribution, ability to evade defenders to score from deep is a prerequisite for Galway to win on Sunday. The platform for Galway’s forward line dominance depends on how Burke can start; his distribution to Canning is a standout component. Canning relishes ball from Burke whose precision is beyond reproach. The St.Thomas clubman is a player whose vast experience will be a huge asset for Galway. He will look to lead by example, set the tone with some early possession wins and look to get players such as Canning, Whelan, Cooney involved. His partnership with Coen on Sunday will be tested particularly when faced with the in-form Jamie Barron. The plus point for Galway is that without suspended Waterford midfielder Conor Gleeson, Waterford are going to have a brand new midfield pairing. Conor Gleeson will be a loss; his work rate and skill set will be a miss and has formed an efficient partnership with Barron. 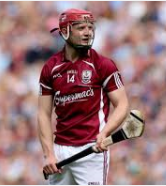 Joe Canning is a player whose playing resume has all major hurling accolades except for one: Liam McCarthy. The All Ireland final on Sunday potentially is a defining watershed for a player who has being a standout in the sport for the last decade. Canning has it all; first touch, aerial dominance, sideline and free taking prowess and ability to create chances out of absolutely nothing. Waterford’s tactical approach to Canning will be fascinating. Do they deploy a man marker for the Portumna player? Does someone like Darragh Fives following Canning and put him under pressure throughout. It is a tall order. Canning may be tested from a disciplinary point of view. Will Waterford look to rattle Canning early to see if they can provoke a reaction? It is a final, emotions will be running high. Joe Canning may need to offload scoring opportunities to his colleagues more this weekend. The likes of Mannion, Cooney, Whelan and Burke could conceivably benefit from the improved time and space afforded due to Waterford focusing in on Canning. It is a subtle balancing act for Waterford. Galway have serious forwards who could also win this game as well. Canning is a predominant figure ahead of this final and one that Galway hurling fans will hope will be raising Liam McCarthy after 5pm on Sunday.